Basing their work on the existing excellent qualities – exceptional coverage, smoothness and extreme lightfastness –, the Caran d'Ache manufacturing craftsmen added water solubility, a property greatly appreciated by connoisseurs of the Maison from all manner of artistic fields and from school age upwards. Neocolor II can be used for all forms of creativity, ranging from drawings on dry or wet materials, monotypes, wet drawing, glazing or rainbow gradation. With 84 colours, the entire range offers almost unlimited scope for the imagination, to the point where even experienced artists once more see things through the eyes of a child, thereby liberating the purest of all creative energies: that of the sheer wonderment evoked by colours. Available in tin sets of 15, 30, 40 or 84 assorted colours or in a wooden box set of 84 sticks. 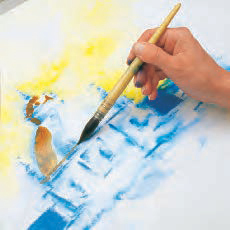 Superior-quality water-soluble artists’ pastels for the most exacting requirements: artists, illustrators, graphic art, art tuition. Water-soluble artists’ pastels, soft and easy to work, strong bright colours, very economical thanks to their exceptional covering power, excellent lightfastness. Pick up the graded colours from a smooth palette and place the brush flat on the paper. Make a sketch, sprinkle it with water and allow the colours to dilute. Pick up colours from a palette and paint in wet as watercolour. 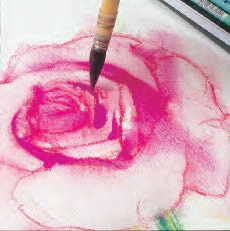 Apply Neocolor II onto smooth watercolour paper and spread it onto the design with a stiff brush. Hold the pastel flat and draw on moistened paper. 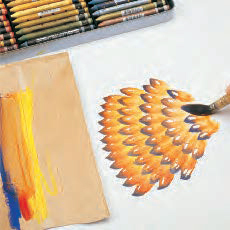 Colour the design with a brush full of Neocolor II. Cover the dry layers with a transparent layer. 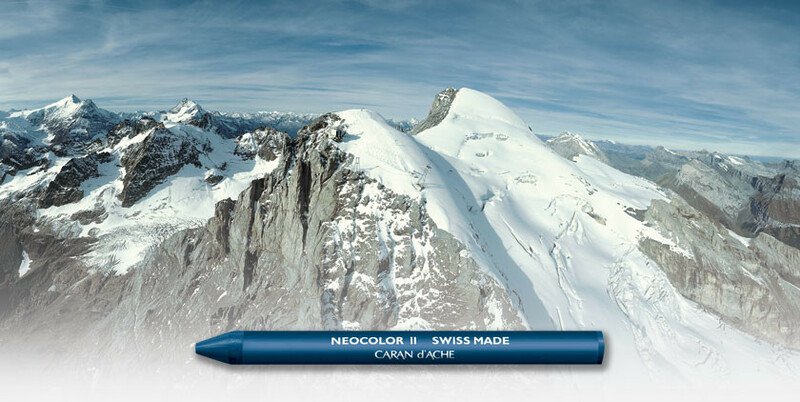 Neocolor II pastels are entirely developed and crafted in the Caran d’Ache workshops, according to the highest quality standards and in compliance with environmental norms and certifications.